YourFonts.com is an online font generator that allows you to create your own OpenType fonts within a couple of minutes. Go make your own handwriting as a font! Make your own "family handwriting history"
Just $9.95 (plus $5.00 if you upload both template pages) - only purchase if you're satisfied! YourFonts allows you to upload large templates (up to 6000 x 9000 pixels) and it has the most advanced raster to vector conversion algorithm. Together this results in unbeatable high quality personal fonts. 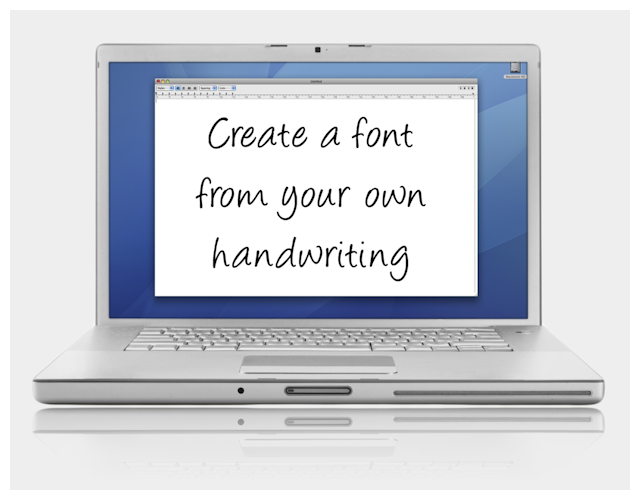 It's easy and fun to digitize your handwriting, so go make your own font now! Subscribe to our newsletter or follow us on Twitter. Once or twice a year we'll send you a discount coupon, so join now! Add your opinion about YourFonts.com. Copyright © 2008-2019 YourFonts. All rights reserved. Font technology powered by High-Logic B.V.